TrustGo searches all the most popular Android App marketplaces to help you find the apps you need and want. 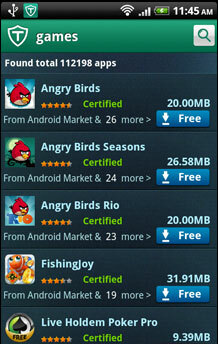 Scan the apps you already have (on external storage, too!) to make sure they’re safe and easily eliminate those that could cause problems. 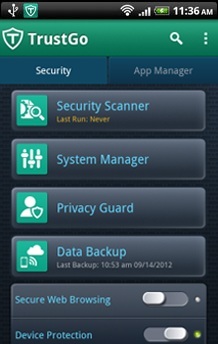 Once installed, TrustGo scans every new download to keep you protected. And when you choose auto-updates for TrustGo, you’ll always have protection from the latest viruses and malicious apps that spammers and scammers are trying to send your way. Get an instant notification when a site you’re browsing is known to be malicious or part of a phishing scheme. 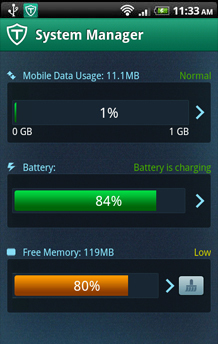 Keep your smartphone running great with tools that help you monitor and control mobile expenses from data usage, find apps that are draining your battery, or shut down apps that are hogging your memory. 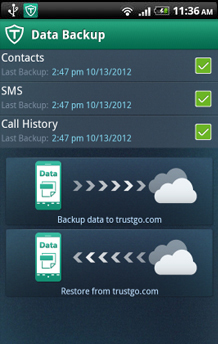 TrustGo gives you complete control over which apps have access to your personal information. 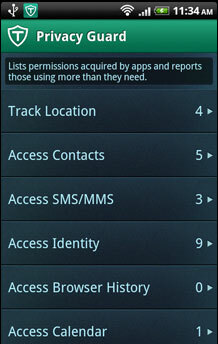 We analyze your installed apps, identify exactly which permissions they’re using and tell you which ones might cause problems. 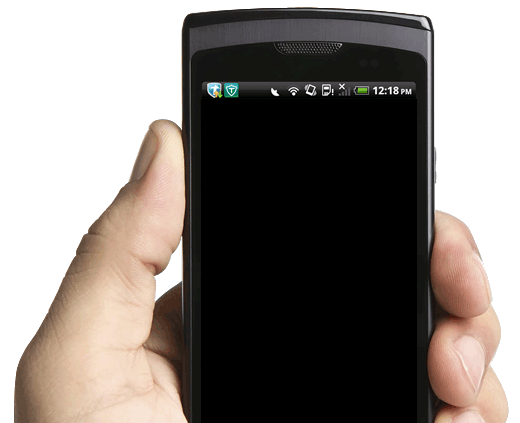 All your family’s phones can be backed up and safely restored from the “cloud” easily and quickly. 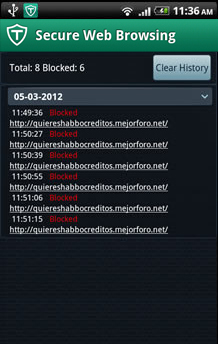 All your important contacts and more are always safe and secure. If your device is ever lost or stolen, TrustGo can help. Log into the trustGo.com website to locate a missing phone, lock it so it can’t be accessed, or send an audible alert to help you find it. 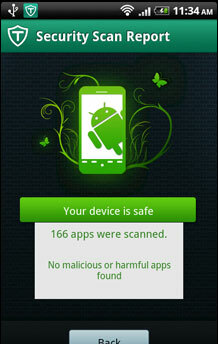 If you have a stolen phone, you can even wipe the phone clean, so your data stays safe. Check out our new thief-catching Candid Camera feature!